Like many of you, I love buying dingy old guitars. Guitars that may not be of a very high quality but still offer something compelling, whether it's a uniquely voiced pickup, a quirky whammy bar, or even just a snazzy aesthetic. In my years at Reverb, I've bought and sold quite a few of these specimens and frequently fall into these fleeting flights of low–end collecting fervor. But for every sunrise there's a sunset, and I currently find myself in "sell mode," having listed a string of under–utilized guitars on my Reverb shop. And delightfully — in most cases, anyway — I’m able to recoup most of my initial outlay. Today brought the especially bittersweet occasion of packing up and shipping my much–loved Harmony Bobkat, the final vestige of a period in which I accumulated half a dozen low–end '60s guitars, each of which brought its own vibe (and its own interesting smell) into my practice space. 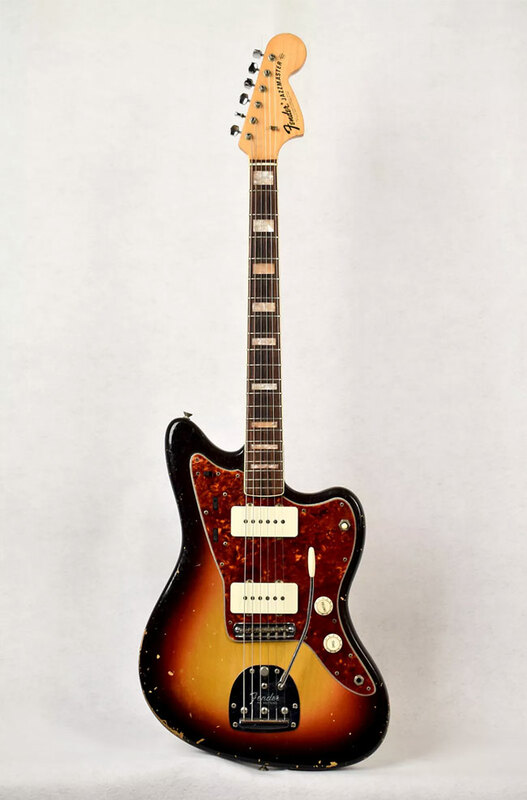 Upon reflecting on this particular rabbit hole, I thought it might be fun to wax a bit about a handful of related '60s offset guitars all inspired by the one that started it all: the Fender Jazzmaster. To start, let's define our terms. What we're exploring today is any '60s guitar with an offset or slanted body shape and a whammy bar of some sort — guitars that look more like a Jazzmaster or Jaguar than a Strat or Tele. It's a broad definition to be sure, and as we'll see below, the closeness of each design to the original Jazzmaster template varies substantially. Some are clear copies, while others may have been coincidental in their resemblance. Of course, we can never be 100% certain to what degree the designers of these instruments we're actually trying to copy the work of Leo Fender, title of this post notwithstanding. By mid–decade, the offset body shape may have just seeped into the guitar consciousness so deeply that it can be seen as more of a genre than a specific design. That said, Fender himself was so proud and aware of this body shape that he went as far as trying to patent the offset waist concept — something he did not do for many of his innovations. Regardless of where they came from, though, it's clear that offset guitars, as we categorize them today, came to include a wide and distinct class of instruments in the 1960s — a class that's always fun to explore and discuss. We'll start our tour today with a series of models built in the Harmony factory variously called the Bobkat and Silhouette. Like most things Harmony, production on these budget–minded guitars was a bit inconsistent with varied specs and hardware and relatively shoddy quality control. Extant examples don't stay in tune particularly well, and the necks are thick and clunky — though some people like that. The Bobkat carried a few model numbers indicating different specs, including the H14 with one pickup and the H15 with two. If shopping for an old Bobkat, the H15 with the whammy bar is the most in–demand and will command higher prices than the single pickup H14. Though it had a distinct body shape, the slightly higher–end H19 Silhouette is generally lumped in as part of the same series. This guitar was also offered in a few different configurations, including a red version with three pickups (that tops the whole family as the most desirable on today's vintage market) alongside a rare bass version. Prices on the H19 hit a peak a few years ago, crossing the $1,000 mark for the red and blue version, though it seems to have stabilized at closer to $700 over the past year or two. These guitars were also distributed by Sears under the Silvertone brand name using different model designations. Some were made with "Holiday" on the headstock, as well. 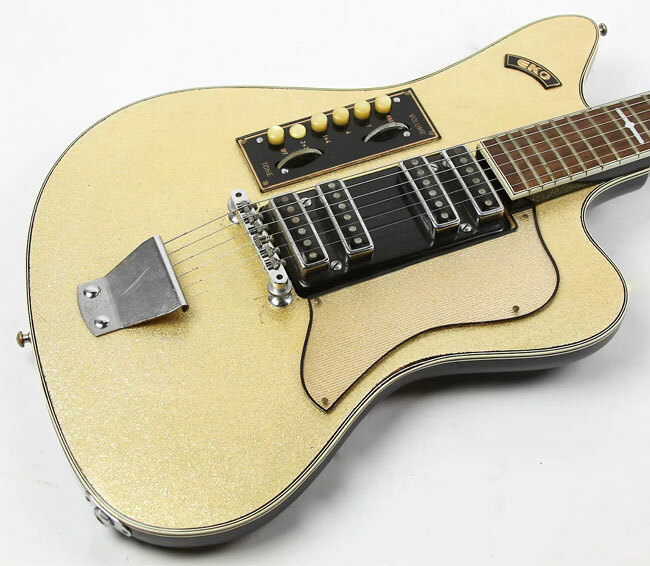 For most players, the standard DeArmond goldfoil pickups remain the primary appeal of these models. There were a few different goldfoil styles that came and went during the Bobkat's run, but they all offer a biting and loud tone, with an output that can create all sorts of intriguing noises when run into some choice delay and reverb pedals. Combined with a quite usable whammy bar (made by Hagstrom in the case of the H19), you get a totally viable noise rock machine. In recent years, the most notable player of the H15 Bobkat has been Annie Clark, a.k.a St. Vincent (or is it "of St. Vincent"), who seems to have single–handedly driven up prices a couple hundred dollars over the past several years. Now that she's playing her Ernie Ball Music Man signature model, we'll see if that changes. In the '60s, Italian maker Eko grew to become the largest European exporter of guitars for a period, and the 400 model — retrospectively dubbed the "Ekomaster" — was the brand's first solidbody design. Like various Supros of this period, these guitars were built using a plexiglass material for the body, and while they look absolutely stunning, they do not claim the highest esteem from most players. They were only built for a few years before being supplanted by the similar Eko 500 model, which came to include a number of different shapes and styles. Most Ekomasters we see on Reverb sport a sparkle gold finish, but the rarer sparkle blue does crops up here and there. Most feature four pickups that can be engaged in different combinations via a peculiar set of tone control buttons that may have been repurposed from the accordion division of the Eko factory. 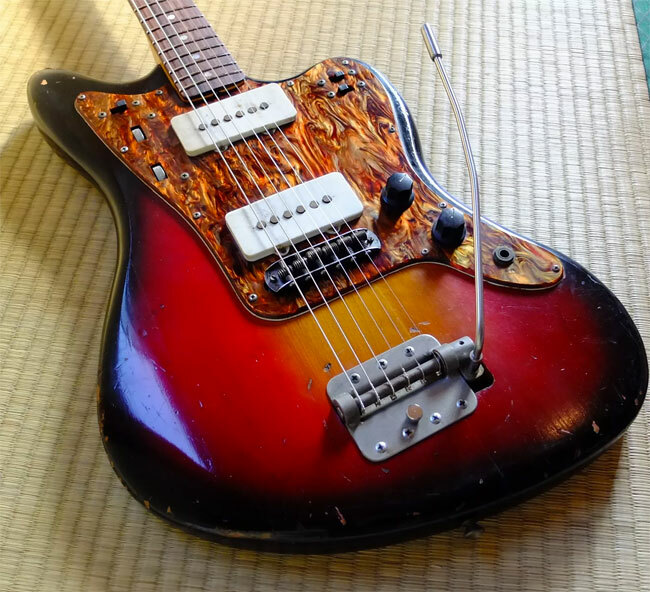 According to some, the Ekomaster was the first guitar to copy the Jazzmaster shape and served as a key inspiration for many of the Japanese makers we'll see below. In that regard, this model may be one of the most unsung influential designs in all of vintage guitar history. Framus is one of those brands that tends to foster real obsession for vintage guitar people in the know. The German maker built a wide array of instruments going back as far as the late '40s, and like most of the entries in this list, the specific appointments of many of their models tended to shift regularly during their production runs. The Strato name, for instance, was really more of a series than a specific model, with a number of short–lived and idiosyncratic variants. The normal Strato model had an evenly aligned body shape with a round bottom, like a Les Paul Special. 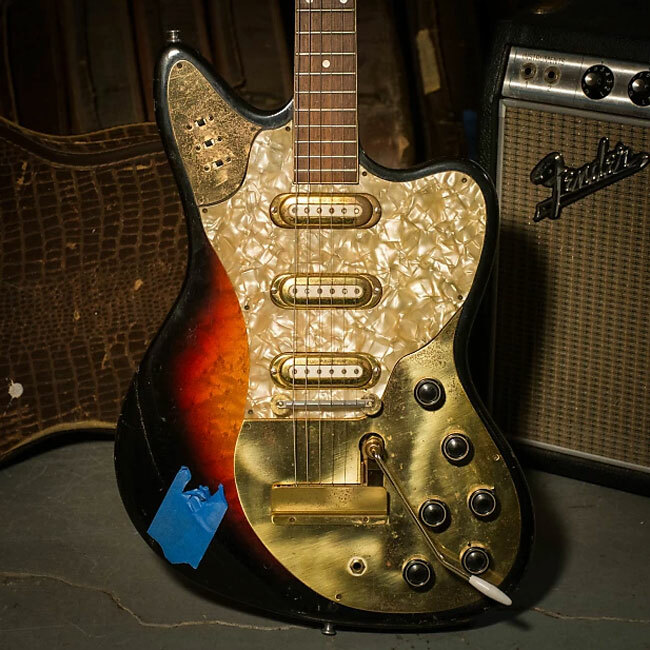 The Strato De Luxe, however, was an upgraded model built around a Jazzmaster–like profile. As you can see in the images above, these guitars were standard issue solidbodies for the most part, with metal–encased, somewhat low–output pickups. Distinctly, Framus built these for a time with an active "organ effect" knob that was essentially a small onboard preamp. The original run of Framus guitars ended in mid–'70s, but the brand has been revived as part of the Warwick family in recent years building all sorts of sleek guitars, including the high–end Idolmaker. 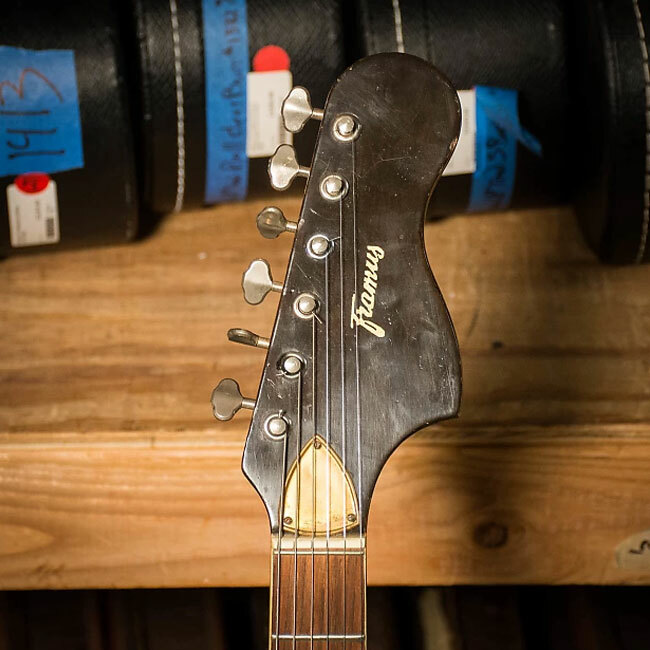 1960s Framus Strato de luxe from Rick Nielsen's collection. Part of the intrigue of the original era, though, comes from the fact that there's not a lot of comprehensive information out there. The firm built a ton of different guitars, but since it didn't survive the '70s, the original archives are supposedly incomplete. There is, however, a lot of information to be found at the Framus Vintage Achieve. 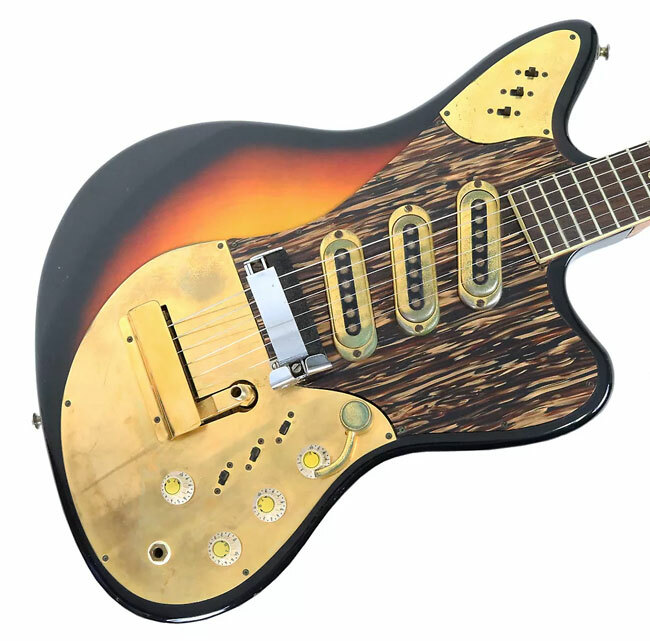 We now come to a section of this write–up that could easily mandate its own article, if not its own series of lavish coffee table books: the immense galaxy of Japanese–made offset guitars of the 1960s. Even more than our aforementioned Framus and Eko models, information about '60s Japanese instruments is incomplete at best, though there is an active community of enthusiasts like our pal Frank Meyers of Drowning in Guitars working to fill in the record. From my perspective, it has always seemed like guitars with an offset body shape make up the majority of old Japanese instruments that crop up on Reverb and elsewhere. Part of this could be that those are just the most popular MIJ guitars to get traded among contemporary buyers, but the origins may go deeper than that. Teisco Spectrum 5 from 1967 via GrinningElk Music Co. The Japanese guitar boom was primarily fueled by two bands: the Beatles and the Ventures. The Ventures — perhaps because they were an instrumental act and required no lyrical interpretation — went over in a big way spawning a wave of Mosrite and other offset clones, as those were the instruments they played. 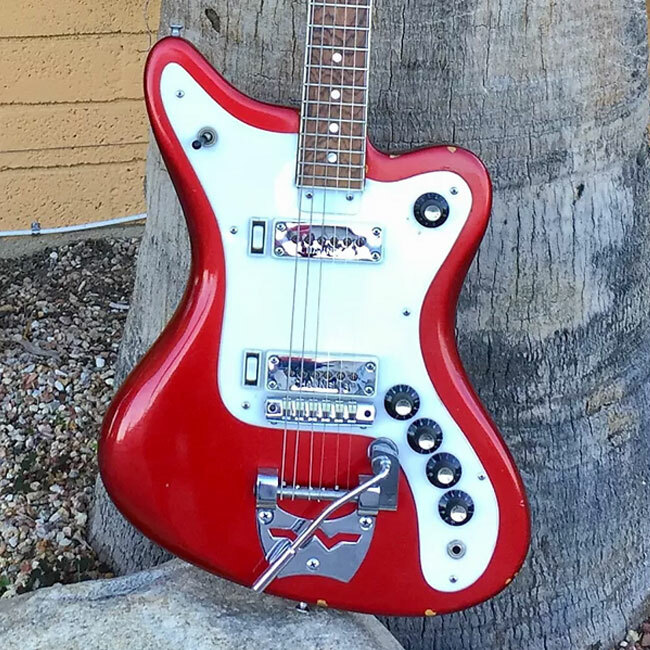 There were a variety of different Mosrite clones built under brand names like Firstman and Morales, some of which were condoned by the Mosrite company. Soon, though, different Japanese factories began building more original designs, which proliferated into the varied multitude of guitars we know today. 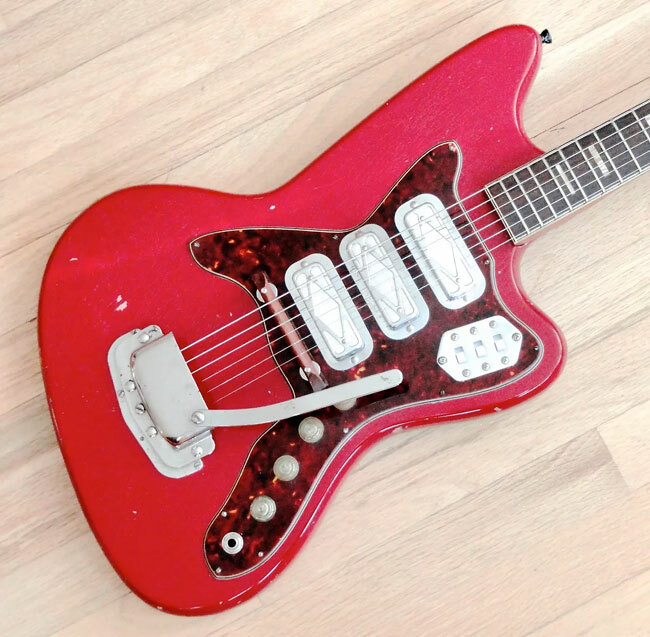 A 1965 Mory Jazzmaster clone. These guitars evolved and improved through the years, culminating in more famous models like the Teisco Spectrum 5, Guyatone Sharp 5, and Guyatone LG–200T, which may be the pinnacle of original offset design in Japan. Of these many models and brands, there were three that stood out as more direct copies of the Fender Jaguar and Jazzmaster. The Elk Deluxe featured excellent pickups and solid build quality, and the rare Voice Frontier offered superb handmade construction and pickups but with somewhat subpar hardware. At the top of the pyramid comes a guitar from a brand called Mory, which carried no model name but stands as truly exceptional straight–up Jazzmaster clone. The Mory model is hard to find and ranks as one of the coveted guitars in the entire Japanese guitar landscape. Quick shoutout to our man in Japan, Craig Campbell, for providing some of this info. Read Craig's post on identifying various vintage Japanese guitar makers here. Wurlitzer is a name most commonly associated with electric pianos, but that didn't stop the firm from trying to get in on the booming guitar market of the mid–'60s. Wurlitzer entered the scene with a trio of electrics, including the super funky Gemini, the comparatively mundane Cougar, and the focus of our attention, the Wildcat. These instruments were outsourced to the Holman–Woodel company, which would go on to produce guitars under other brand names including LaBaye and Alray. Compared to, say, the Ekomaster, the Wildcat is not an especially eye–catching guitar. But it plays well and offers a bit more heft and substance than the similarly named Harmony Bobkat or any number of MIJ examples. The pickups are a little thin to my ears, and the Bigsby–esque tremolo — at least on the guitar I owned — was a bit intractable. That said, they are decently well–made guitars with an interesting vibe and history that can still be found for relatively cheap. If on the prowl for a unique slice of vintage American guitar craft, these Wurlitzers are a most worthy option. From Alamo and Kay to Klira and Meinel & Herold, there are dozens of other guitar brands and models that could have been included above. There is also a very excellent community of offset guitar fanatics with active forums, Facebook groups, and subreddits full of legitimate expertise and real love for these instruments. If any of you happen to see this note, I heartily invite you to drop some knowledge about the guitars I missed in the comments section below.